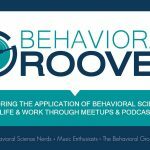 behavior – Page 2 – Behavior Matters! 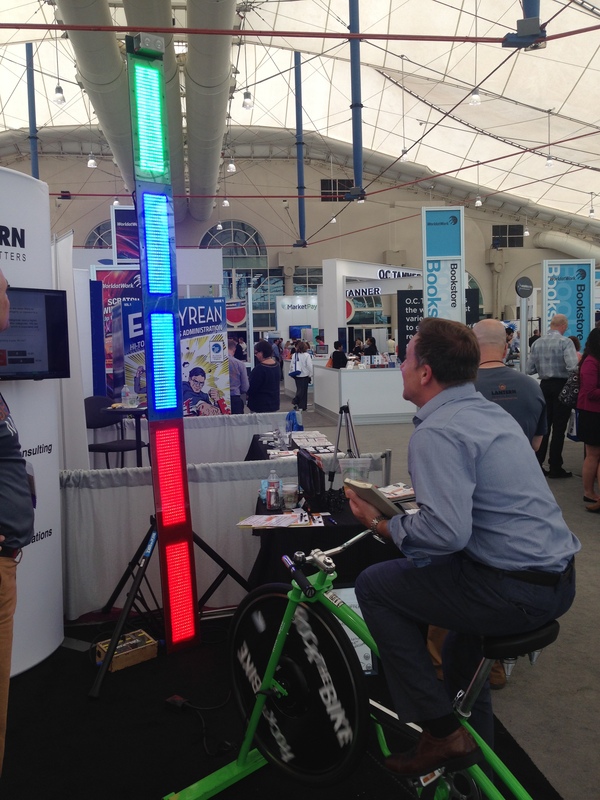 A bike, some lights and motivation: what a stationary bike hooked up to an LED panel of lights can teach us about motivation! 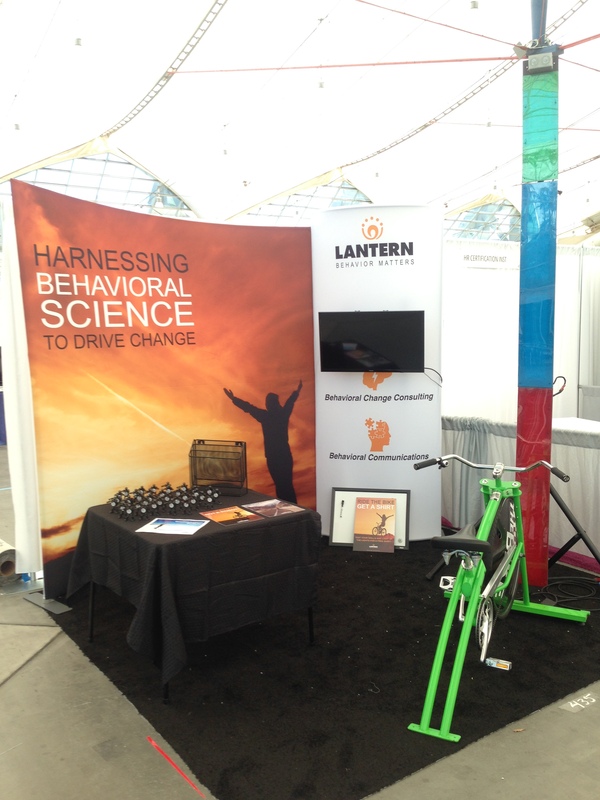 As part of our exhibit booth at the World at Work 2016 Total Rewards Conference, we designed a method for giving away our promotional t-shirts that simultaneously acted as an experiment to help us understand what motivates people. What we found out was intriguing and reinforces some key behavioral insights about intrinsic and extrinsic motivation, recognizing accomplishments and having specific goals. Our process involved a stationary bike that was hooked up to a bank of LED lights1 – the faster and longer you peddled, the more lights lit up, sounds basic enough right? The six LED light panels set up on a vertical pole that lit up from the bottom to the top – once all six lights were lit up, all the lights flashed and the process was over. To earn a very cool “Behavior Matters” t-shirt, all people needed to do was get on the bike and light up one of the lights. We did not require that people light all six lights, and we did not assign a time length for peddling to earn a t-shirt. All they had to do was light up one light – a relatively easy process. Additionally, people could get their name written on our leader board if they were one of the five fastest people to light up all the lights. This white board with hand written names on it was updated whenever someone earned one of the top five spots. Our original concept was to have people read one of two sets of written rules – one positive and encouraging; the other bland and discouraging. The intent was to see if the different messages impacted how people performed or felt about the activity. We quickly realized that our original plans were not working – too many people wanted to ride the bike and the process ended up being us telling participants the rules instead of them reading them thus invalidating the initial study. Luckily for us, this is where things got interesting! A total of 103 people rode the bike over the two days the exhibit hall was open (some participants rode multiple times). Their performance is shown in table below. The average ride time was 31.7 seconds – with the fastest time being 4.8 seconds and the longest time being 80 seconds. There is some obvious differences based on physical fitness here as shown by the inverse time required to reach the different levels of lights (i.e., more time on average to reach 3 lights than 4 lights, etc.) which played out in how well people did. Do you just want a shirt or are you looking for something more? We needed to have an incentive to get most people on the bike. True, there were some who just wanted to get on the bike and see how many lights they could get, but the vast majority of the people got on the bike to earn the t-shirt. In other words, they needed an extrinsic reward to participate. The interesting part was that only one person stopped at the first light (1 out of 103, that’s less than 1%)! Once they were on, the majority of participants moved past the threshold for earning a t-shirt and continued peddling to see what they could do. This was not easy – we had the settings on the bike be rather hard. This meant that peddling for more than 15 seconds was difficult for most non-athletes. We believe once they started the activity, they intrinsic motivation of the bike kicked in. The lights tracked their progress immediately and they could directly see how they were doing against the goal. They wanted to see what they could accomplish. They no longer worried about the t-shirt – but instead, focused on the event. In other words, they challenged themselves to see how many lights could they light up? They had already committed to participate in order to acquire a t-shirt (the reward) – now they were pushing beyond what was required for the shirt because of the challenge that they were presented with. If we think about the 4-Drive Model of Employee Motivation (for more info see here, here, here) we see that the Acquire component was instrumental in the motivation to initiate the event, but the ongoing motivation was propelled by the intrinsic drive to Challenge oneself and see how they could do. The idea of using an extrinsic motivator to entice people to participate in programs or activities that they are not excited about and then allowing their natural Challenge drive take-over should not be undervalued. Additionally, the more that a program uses a measure of goal progression, highlighting an individual’s progress, the more a participants Challenge drive is activated. In other words, the design of your extrinsic incentive program can impact the intrinsic motivation that is activated. Finding cohesion between these extrinsic and intrinsic motivators can certainly help drive the right behaviors. What’s up with the leader board? We had a leader board where riders got their name featured if they were one of the five fastest people to light up all six lights. They did not earn any additional extrinsic reward for being on the leader board – no fancy give-away, no grand prize, not even an extra t-shirt. What drives you to take 10,000 steps a day – everyday for a year! “An old colleague of mine just posted that she walked 10,000 steps every single day last year.” she stated. Fast forward a month and half and I sat down with Janelle at a coffee shop on the campus of the University of Minnesota where she worked. For the next 60+ minutes I was enthralled listening to her story and asking a ton of questions. Total steps in 2015: 6,456,950 (that is 6 million, 456 thousand, nine hundred and fifty) totalling 2,818 miles walked. May 2015 was her most active month with an average of 21,388 steps per day and her most active single day of 80,606 steps. February 2015 was her least active month with an average of 14,190 steps and her single lowest step count on any day was 10,016 (just 16 steps over her goal) on January 16th, 2015. I wanted to know how Janelle did it. Walking 10,000 steps everyday is not easy nor is it a task that you can do by just forming a new walking habit. It takes concentrated effort and dedication. It requires that you have an emotional commitment to achieving your goal. It takes support from friends and family and sometimes even strangers. It takes coming up with hacks to motivation to keep that fire going all year long. In my interview, I wanted to find out if Janelle employed any of the six actions that I’ve identified as being key to successful change (see here) and (here). When I asked her about how she did it, she used all six to some extent: Engaging her emotions, Plotting her progress, socializing her support, harnessing her habits, enabling her environment, and preparing her plan to overcome obstacles. One of the key concepts from the change work that we’ve done, is that purposeful change is more likely to succeed if you actively engage your emotions. Rational change, we found, is not sustainable. However, emotions are hard to consciously activate. We’ve found that one way to hack into those emotions, is to align your change with your self-identity. If you can align your change behaviors with who you perceive yourself to be, then your behaviors become easier, and when you behave in ways not aligned with that self-perception, you feel angst to come back into alignment. Within the first five minutes of the interview, without prompting, Janelle stated, she identified herself as a “walker”. She talked about how she always liked to walk, how she walked with her mother when she was younger, that when she walked, she felt better. 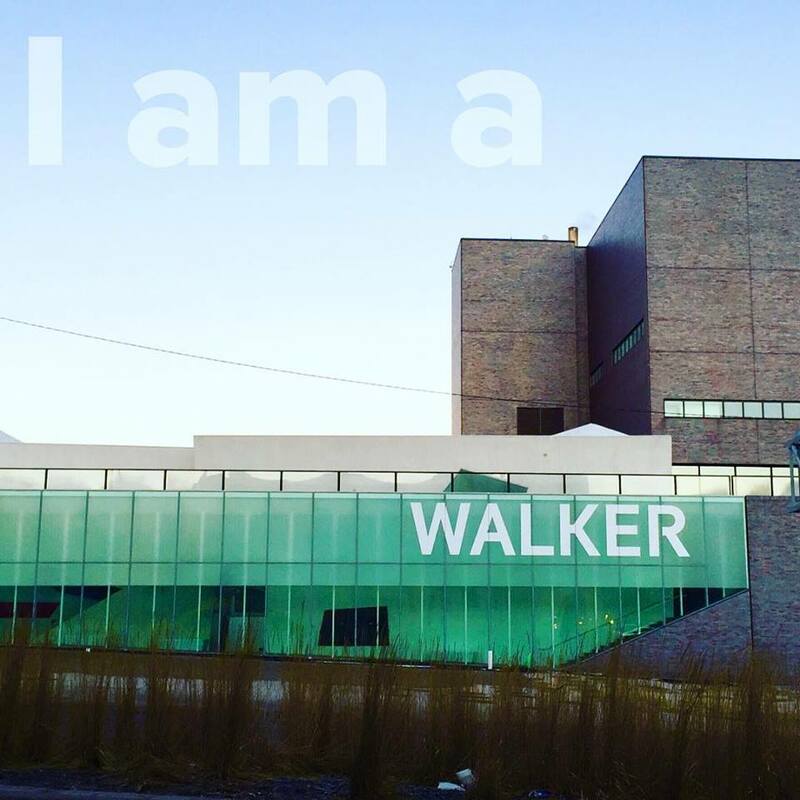 In her mind, she identified who she was as a “walker” and that implied that she behaved in certain ways (walk instead of drive when possible, take the stairs – not the elevator, etc…). Plotting ones progress towards a goal is important. Research has shown that progress, no matter how small or insignificant, provides humans with great satisfaction. We know from behavioral economics that the closer you get to a goal, the more motivated you are to achieve it (see here). Of course Janelle had her fitbit to track her steps…but that wasn’t all – she had her calendar. Janelle had gone online and bought a special full year calendar (from Europe), had it shipped over and framed. This was hung in her home office where she saw it every day. 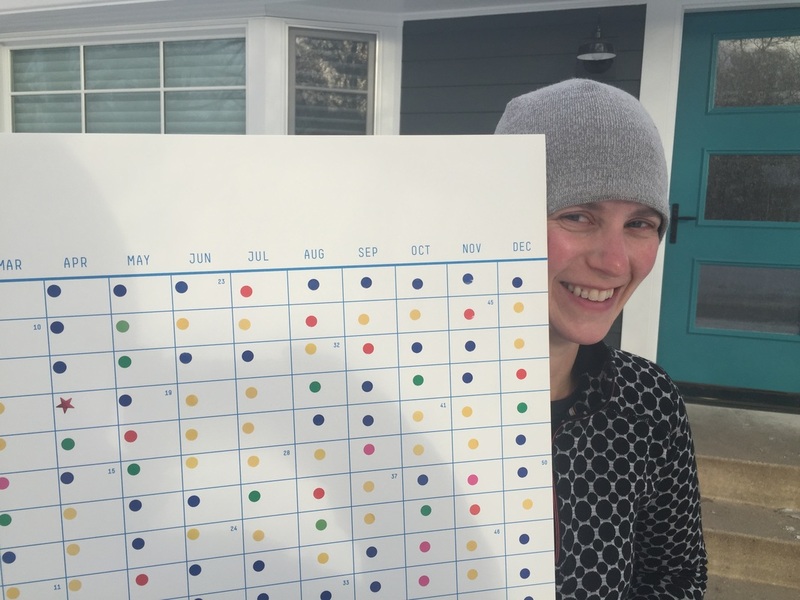 Each day that she walked 10,000 steps, she added a sticker to that calendar. Different colors represented different step counts. Yellow was 10K, blue was 15K, and red was 20K. She also set up motivational milestones. She created a “walk wish-list” of different places or walks that she wanted to do. She posted these to her Facebook page (adding a social element that we will talk about later). When she achieved these walks, she was able to check them off her wish list. Additionally, Janelle joined a fitbit group (again, we will talk more about the social aspect of this in a bit) that had different walking challenges. Fitbit calls these challenges, “a fun way to help you stay motivated by competing with friends and family.” These mini-challenges helped provide ongoing ways to measure her progress. Her fitbit group also had a leaderboard that showed her daily steps compared to those in the group. This was a way to track her progress not only against her goal, but as part of a fun competition against others. When she decided to commit to her 10,000 steps a day for a year challenge, she purposely posted her decision on her Facebook page. She told me that she did this to create accountability. By publicly stating her intentions, she enlisted her Facebook friends to become part of her social support team and keep her on task. We often feel more pressure to do things for other people than we do for ourselves. I call this “other focused motivation.” For some people, this motivation is much stronger than the motivation that they have to complete things for themselves. For the past 20 years, I have been exploring how people change their behavior. This exploration has led me down many different paths and lines of inquiry. One of the most fascinating areas of research that I’ve investigated surrounds the now hot topic of behavioral economics. 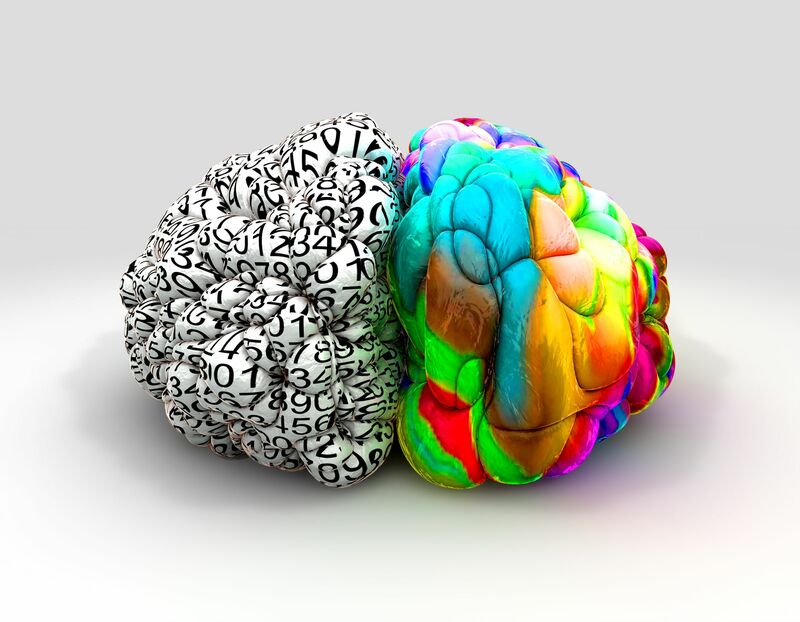 So what do we find out when we fuse psychology and economics together? Now that is not ground breaking news for most of us. Even when I graduated with an economics degree, I knew that people didn’t always act in rational ways – or at least I didn’t (otherwise why would I stay up watching bad T.V. until 2:30 AM when I knew I had to get up by 7:00 AM for a meeting or why would I spend a hundred dollars on a dinner out but fret over buying a steak that was over $10 at the grocery store?). However, for many economists, that statement was hearsay. Many economic models are based on the fact that people act in rational ways to maximize their own utility (i.e., happiness). These theories stated that we might make irrational choices in the short-term, or when we don’t have enough information, or that at least your irrational behavior would be vastly different than mine so that on average, we would be rational. 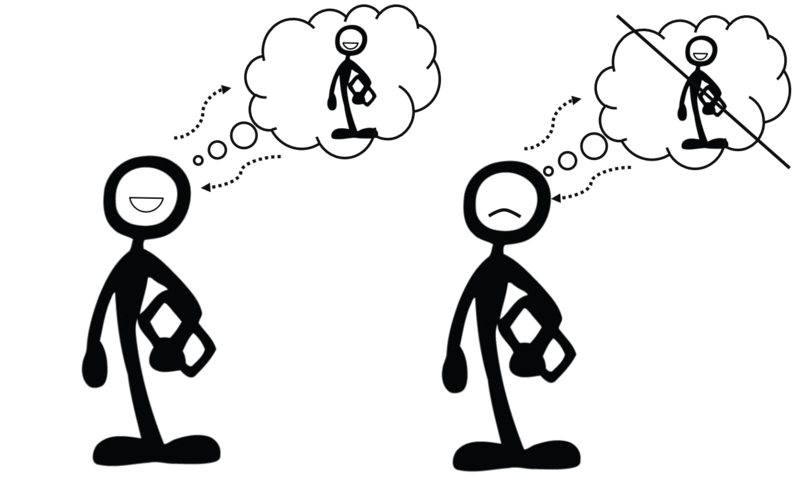 The truth discovered by behavioral economics is that is not often the case. We don’t act rationally – in fact, we sometimes act exactly opposite of how an economist would think we should act. This is a significant difference in how much they bid – entirely based on the last two digits of the SSN. Would you work harder for a set amount (say $10) or for an uncertain amount (say 50% chance of $10 or 50% chance of $5)? Most rational people would say that they would work harder for the guaranteed payout of $10…that isn’t the case. In a study that looked at drinking a large amount of water in two minutes – some people were offered a $2 fixed amount for finishing it – the other group was told they would earn either $1 or $2 (random chance of either). So what was the result? 43% completion rate for the certain award versus 70% completion rate for the variable? Not what you would think right? Note – that this doesn’t apply to people choosing to participate – existing research suggests that we prefer certainty over uncertainty when deciding if we should opt-in for a goal. However, uncertainty is more powerful in boosting motivation en-route to a goal. So what does any of this have to do with change? We so often want to drive change in ourselves or our organizations and think through the process of this – in a rational and systematic manner. I’ve worked with companies who are baffled that they don’t see a long-term increase in employee productivity and satisfaction after they increase their wage (Hedonic Treadmill Effect). I know people who have mapped out their exercise routine for the next day, only to hit the snooze button instead of getting up and going for their morning run (Hyperbolic Discounting). Too often we try to implement a change program based on a belief that we are rational beings. Behavioral economics highlights that this just isn’t the case.